Bat Masterson was a dapper dressed gambler, gunfighter, lawman, and contemporary of Wyatt Earp and Doc Holliday. Bat Masterson was known to prefer a small discrete cross draw holster for the 4 ¾” barreled Colt Single Action Army he ordered special from the Colt factory. 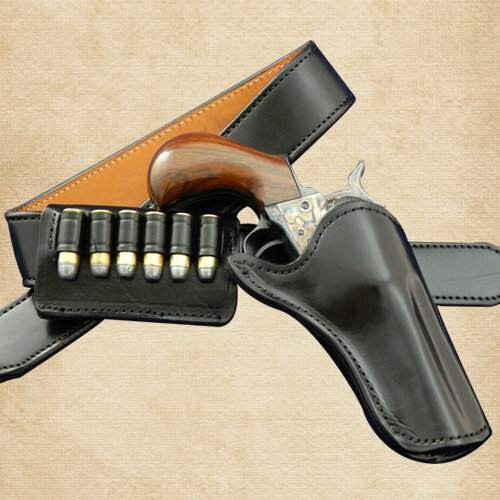 The cross-draw style holster allowed quick access from a seated position at the card tables where Bat was frequently found.”Available in Black or Brown with optional matching belt and 6 loop cartridge slide.